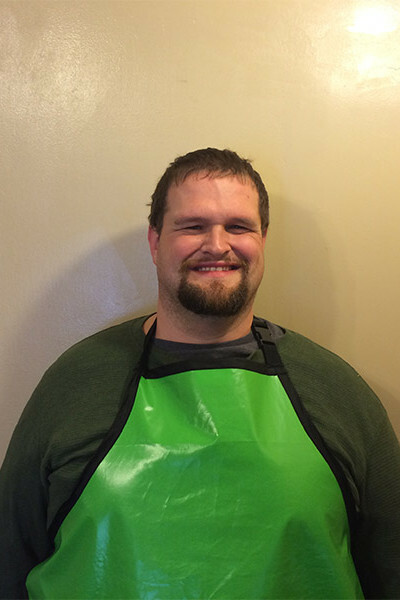 Chris has been a bather for us for quite a few years now and is an experienced bather. He is also familiar with all of Shampoos and products that we use and is able to determine what a dog might need whether it be medicated, flea or just a gentle hypoallergenic shampoo like oatmeal. We have other products they automatically use for long hair coats to make combing and grooming a more gentle process. We have different length brushes, dematting tools and even rubber brushes for the shortest coats.